Mediation offers a safe, neutral environment in which you can tackle your impossible problems. The kids. The money. Where you are each going to live. The mediator structures your conversation, sets ground rules so that no-one feels put down by the other one, makes sure you each say what is on your mind, and – critically – makes sure the other person has heard and understood it. However, this ideal scenario can be knocked for six if a couple comes to mediation intent on playing out their battles in front of an audience. Mediators can help people for whom talking has become difficult, but they will find it nigh-on impossible to help people who insist on dominating the process, no matter how many times the mediator repeats the ground rules of ‘no shouting, no interrupting, no threatening, no undermining’. Mediation can only help those who want it to work and are willing to set aside their old habits, under the mediator’s guidance. 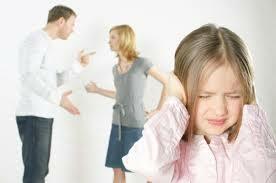 The mediator has a right to end the mediation if she feels the process is being abused. Controllers – Do They Come in Pairs? Often in mediation we see the couple separately for their first meetings. This gives people an opportunity to be very frank and open about their situation. Often one will say “S/he’s a controller, and I’m unsure I can cope with mediation!” Then the other person comes and says the same. What might be happening? Each clearly feels they’re not getting their way enough. They have come to resent and oppose the control or influence involved in being part of a couple. Whether this is reasonable or unreasonable as a matter of opinion. So for example, if Harry went out alone to the pub every night, their partner might object, then Harry might complain of being controlled, but who would be at fault? What if John complained Sally spent too much money on shoes and the family had a huge debts and Sally had 1000 pairs of shoes? Sally might say John was controlling, if he tried to stop Sally buying shoes, but would his actions be inappropriate and who would be at fault? These exchanges are the overt text, the surface conversation. What is really going on is what I call the subtext and it is the subtext that is so interesting. It is a matter of opinion whether there are inappropriate control issues as opposed to an expectation of a reasonable conversation about something important with the person with whom you share your life. A conversation might be initiated by the so called controller in the hope of influencing the other person to change behaviour which they feel is threatening the foundation of the relationship. Whether this attempt to influence or control is reasonable or unreasonable is depends on your point of view. If the relationship is strong these exchanges are productive, useful and keep the relationship on a sound footing. If the relationship is struggling, the exchanges may become aggressive, negative, recriminatory or accusatory. Things may have gone too far for the couple to put things right, however much talking they do. Perhaps reasonable exchanges about what is fair and right in a relationship needed to be had years before, before the situation became irretrievable. So influencing your partner through rational discussion is vital to a healthy relationship. This is appropriate and to be expected. However, it is easy to think of situations where one person is seeking to control the other inappropriately. Examples might be trying to prevent them seeing their friends and family, to cut them off from other relationships, force them to eat, drink or dress in a certain way, or control their conversation, thoughts or beliefs. These would be issues where controlling behaviour would be inappropriate and usually wrong. So accusations of control need exploration and not just to be accepted at face value. We need to unpick the behaviour behind the assertions and ask what is really going on. So people should change their understanding of the word ‘Control’ and dig deeper. They should think about what is really being asked, is it a reasonable or unreasonable request? 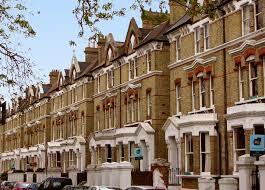 Londoners are considered to enjoy to most affluent living standards in the UK. With salaries above the national average and house prices considered to be out of reach of those not already on the London property ladder, might be less fraught. The reality however can be far from that. London house prices are out of kilter with the rest of the UK. The Evening Standard reported recently house price increases of 18.8 per cent in the last year and that is on prices already massively higher than anywhere else in the country. When a couple is considering what to do with their family home and where they can both live if they split up, ever rising house prices make it difficult for them just to agree a valuation. What may be accurate at the start of their separation can within a matter of months have changed out of all recognition if the market has risen madly. London Focus Mediators are aware of the particular difficulties facing London couples and will help both parties throughout their mediation face the tricky issues specifically relating to living in London. It is of note that whilst house prices are higher than anywhere else in the UK the Evening Standard goes on to report there is an increasing crunch on London family budgets. November 2014 figures suggested the era of falling real wages since the banking crisis may finally be ending, with pay just starting to outpace inflation. But today Matthew Whittaker, chief economist at the Resolution Foundation think tank, said that in real terms wages were at the same level as in 2000. Faced with these economic peculiarities, It is key to work with a mediator in touch with the problems facing Londoners. The process of mediation allows such issues to be flagged up at the outset and dealt with in a controlled and professional way, helping separating couples to set their agenda and deal with the particular issues affecting them and their family. 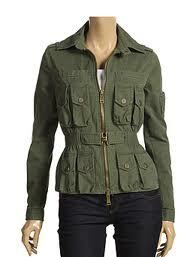 The way to think of it is as a jacket with lots of pockets. The pockets have money or debt in them. The up to date value of the pockets will normally be used in the settlement or judgment. Very occasionally someone may succeed in an adding back argument, for example, adding back a significant value they argue the other person has squandered in some way or applied in a way that is prejudicial to the outcome. Much would depend on scale and if the application of money was unusual and prejudicial to the person who had no control or say in it. 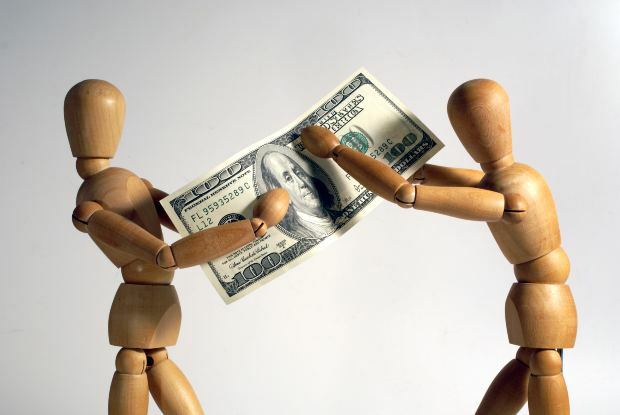 Very often couples argue fiercely over which pocket something is paid from. They don’t want it paid from ‘their’ pocket, it must come from the other person’s pocket. This is an illusion when the pockets are totalled as it simply makes no difference. Someone making a big pension contribution to take money off the balance sheet and out of their pocket – it does no such thing, as the pension is part of the jacket and the contribution and its tax relief is included and split!. Leaving money undrawn in a business controlled by one party, in the hope no one will include the full value of the undrawn capital or take into account the undrawn income as relevant to maintenance. It has to be one or the other. It is usually quantified and included.